Shelly LaBarre returns this winter to lead the indoor track and field teams for her 19th season. She will be joined for the first time by current head cross country coach Eve Campeau. It should be an exciting year for the Knights as they will take part in many championship and invitational meets throughout the winter. Gill’s schedule includes the Somerset County, Skyland Conference, Prep B and Non-Public B Group Championships along with Invitationals at Drew University, East Stroudsburg University and the Ocean Breeze Athletic Complex in Staten Island. 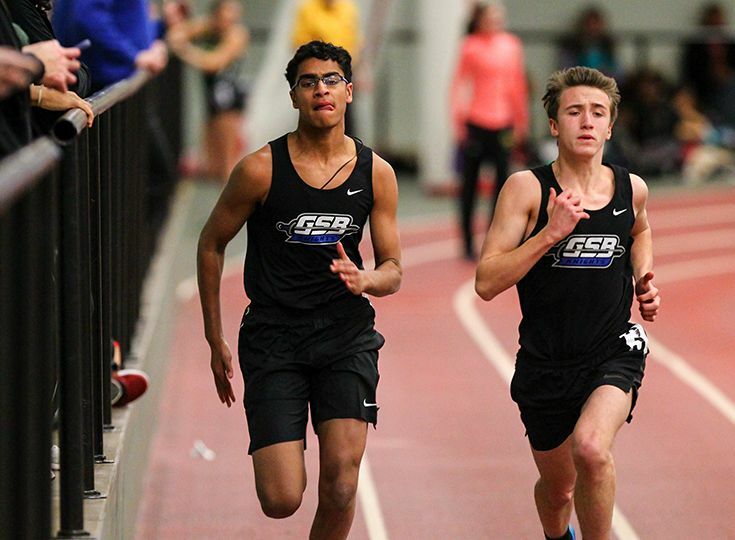 Indoor track epitomizes team play, as the Knights are going to need contributions from many different skilled players to be competitive in their championship meets. For sprinters, Gill will have Andrew Margolis ’20, Tyler Lynch ’20, Bart Benoit ’21, Sohan DeSilva ’21, Arnav Patel ’21, Ethan Shi ’21, Zach Yekta ’21, Samantha Lowe ’20, Anna Mikula ’20 and Lucie Antonius ’21. Campeau will have many repeat athletes from cross country serving as the main distance runners, including Matt D'Ovidio ’19, Christopher Varghese ’19, Teddy Lazar ’20, Neils Rongen ’20, Luke Mariak ’20, James Koether ’21, Ansh Patel ’21, Will Strong ’22, Jacob Goldklang ’22, Allison Zhao ’20, Emma Ryan ’22, and Anne Wang ’22. Jack Feldman ’19, Mark Giordano ’19, Luca Del Vescovo ’20, Matt Raymonds ’21, Joe Licata ’22, and Zac Saunders ’22 will serve as the main throwers for Gill as well.